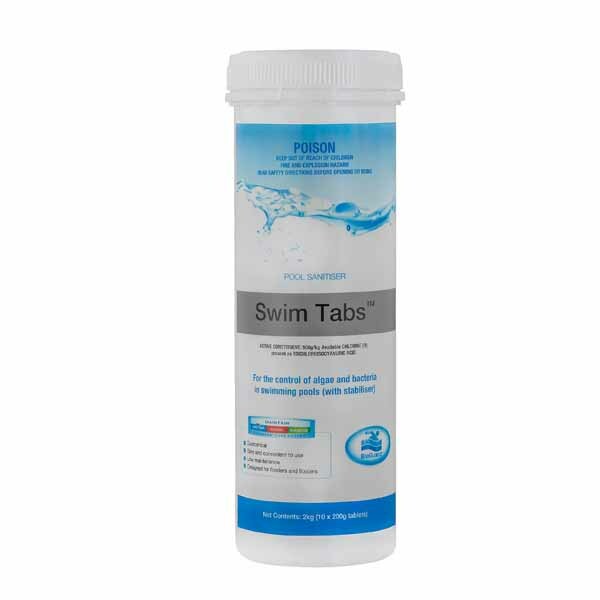 BioGuard Swim Tabs are stabilised 200 gram trichlor tablets that can be used in automatic feeders and some floaters for constant chlorination. Does not cloud pool water. Steady release of chlorinating product.